A good sounding distortion, a chorus and delay will get you far and take you through any gig. Earlier this year I did a review of the Red Muck from Jam Pedals and I was eager to try more of their pedals. Hereâ€™s my review of the Dyna-ssoR, Rattler and Waterfall. As weâ€™ve talked about before, classics like the Big Muff, Tube Driver, Colorsound Power Boost etc are all pedals most of us would prioritize for our Gilmour inspired pedal boards. However, they might not be the best choice if you mostly play at home on a smaller amp. In fact, they may cause more frustration than inspiration. Read more about that in this in depth feature. Iâ€™ve always been a fan of the RAT distortion. The pedal can easily produce the dirt you need regardless genre or setup â€“ and it covers just about any of Davidâ€™s tones. A versatile â€œall purposeâ€ setup may not be the most exciting setup but it will never let you down. Iâ€™m using a Fender CIJ â€™65 reissue Stratocaster with EMG DG20 pickups into Dyna-ssoR > Rattler > Waterfall (second clip) and a Laney Cub12 15w stack. Reverb and delay is added in Logic. The Dyna-ssoR is, as the name implies, a mix between the MXR Dynacomp and the uber rare Ross Compressor. The Ross was indeed originally inspired by the Dynacomp but itâ€™s considered a bit more transparent and smooth sounding. Like the originals, the Dyna-ssoR feature controls for sustain and volume. The sustain control adds rich sustain with a very mild attack â€“ perhaps a bit too mild if you seek a more defined deep compression. The volume control allows a useful volume boost and it manages to stay pretty silent as well. Personally I prefer just a bit more bite but the Dyna-ssoR nails Davidâ€™s late 70s clean tones and tightens up a wild Big Muff. Iâ€™ve always preferred the â€™76 Dynacomp to the Boss CS2 and the Dyna-ssoR is a great option and way better sounding than the current block logo MXR. 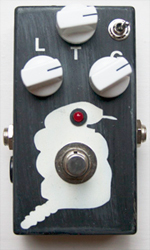 The Rattler is a clone of the Rat distortion. The pedal feature controls for gain, tone and volume as well as a toggle switch for selecting two different pre-gain stages â€“ classic Rat with a saturated mid boosted gain and tons of sustain and a custom Rattler+ mode with less gain, which takes the pedal closer to a Tube Screamer. The Rattler also feature the much sought after LM308 chip. Like the Rat the Rattler lack some lower end and it can be a bit noisy when you crank the gain but thatâ€™s part of its nature (high gain saturation and boosted mid range adds noise). I also think it sounds a bit dark and hard to open up on smaller amps but it manages to stay smooth on higher volume, whereas the RAT often gets harsh when you crank it. The Rattler is a great option if you want a versatile gain pedal that handles both distortion and overdrive tones. It nails most of Davidâ€™s lead tones and just about any other musical style as well â€“ and itâ€™s a great substitute for the now so popular Cornish G2. The Waterfall is a classic analog chorus following the tradition of the Boss CE2 and Electro Harmonix Small Clone. The pedal feature controls for speed and depth as well as a -/+ switch for classic mode and an even deeper chorus and a second switch for choosing between chorus and vibrato. When I first plugged in to this pedal I almost got seasick. With everything cranked and the vibrato mode engaged it sounded just insane. I spent a lot of time figuring out the right setup for that classic CE2 tone – the Waterfall needs to be tamed pretty hard. However, when you find the sweetspot you just want to play for hours. This is an incredibly warm and smooth sounding chorus sounding very organic and rich. Whereas the CE2 can sound a bit hollow and mid boosted the Waterfall is very transparent and handles both cleans and distortions very well. It also does a decent rotary sim although, like most chorus pedals it gets a bit detuned when you turn up the rate. Iâ€™m personally no chorus person and I think the extra features are a bit redundant but it depends on what you need and this is indeed one of the sweetest sounding chorus pedals Iâ€™ve ever tried. A small minus is that a pedal this sophisticated should have a mix control as well, allowing an even smoother tone. The Waterfall nails those Delicate and PULSE chorus-drenched tones and if youâ€™re into the 80s rock thing, just plug this into a Marshall JCM800 and youâ€™re the next guitar hero. Waterfall soundclip: Us and Them. Settings – 1. clean signal, 2. speed 2:00, depth 8:00, 3. speed 2:00, depth 1:00 (all clips with minus switch mode and chorus). Like all Jam pedals the Dyna-ssoR, Rattler and Waterfall is housed in a MXR sized box with true bypass switching and they run on either 9V battery or power adaptor. 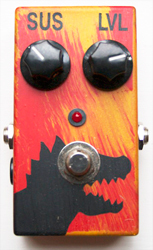 Check out Jam Pedals homepage for further details and more clones of vintage effects. The Dyna-ssoR, Rattler and Waterfall was tested on two different Stratocasters, one with Fender CS69+Duncan SSL5 (bridge) pickups and one with EMG DG20 pickups and two different amps, a Laney Cub12 15w stack and Reeves Custom 50w â€“ both with Weber Thames 80w speakers. HI Bjorn, between the Jam Waterfall and the Costalab Choruslab, which one would you pick? Is the Waterfall capable of a subtle chorus? I’m thinking about getting the Rattler Plus. Playing into a Blues Jr. with a strat carrying the TTS crazy diamond pickups. Is this the distortion for me? Thank you for your recent advice. I recently bought the Rattler after you recommended it and couldnt be happier. I use it following my fulltone OCD in my pedal line and it acts as a perfect boast for soaring leads ala gilmour. Thanks again. Honestly Both the Digitech multi processors and the Line 6 processors sound choked to me. I have the TC Electronics G-System and that has great sound over all but it has no Dist/OD (which I prefer) it has insert loops for your chosen effects The one draw back is that the loops are Buffered. I keep requesting for them to change this to a choice of Buffered or un Buffered but as it is a hardware change it will be a while before it has happened (if it does). All in all, there are benefits and draw backs and honestly I still go back to separate pedals vs multi processors a lot…to me those are the sounds I search for in my tone. Check Out the G System and its versatility before spending big bucks on Multi effects processors. It may be more expensive up front but it has a foot controller as part of the unit which can run a lot of money to hook up with other systems. Thanks so much for your advice Bjorn. However, I am wondering whether a multieffect processor would be right for me. I know you have used some in the past and recorded a few Airbug albums with them (I love your music btw) and I’m wondering what your opinion is on the Digitech GSP1101. I know many people bash Digitech as being bad quality but my friend has both the GSP1101 and a Line 6 POD HD400 and I think the Digitech sounds better. I also would appreciate your opinion. Here is the old comment. Please disregard the thing about my guitar, as I now have a new one I told you about. My dream tone would be the lead tone on Dogs. However, I also want to be able to play other classic rock tones, such as Tom Petty and Mark Knopfler (Dire Straits). I realize this all may not be possible for under $200, but thats all the money I have saved up (my parents donâ€™t believe in funding hobbies), so Iâ€™m willing to make compromises. Any help would be greatly appreciated. Anyways, I just think it is amazing that you spend so much time helping your readers. I believe I speak for everyone when I say I am very grateful for your work. Hey Bjorn, I was wondering if you got my last comment. If you have not, I would just like to mention that my parents bought me a new HSS strat with TexMex single couls and a Seymour Duncan Pearly Gates humbucker that is “low-output” but still has a higher output than the single coils. I was wondering what your thoughts were on the Danelectro Cool Cat Chorus (from the cool cat range, not the older stereo chorus). It has a mix knob on it and most of the tones from youtube sounded very nice. BTW if you’re wondering why I keep asking about Danelectro pedals, I’m a fifteen year old boy who is trying to build a decent rig for under $200. I already have a MIM Strat with vintage-styled pickups and a 5 watt tube amp with a scooped clean tone (Bugera V5). So far the only pedals I have are the Danelectro Daddy-O overdrive (inspired by Mike Campbell from Tom Petty and the Heartbreakers, my second favorite band), and a Danelectro Chicken Salad vibe clone (came free with the Daddy-O). Do you have any suggestions for my rig? On their website for their Red Muck pedal they have a cover of the Comfortably Numb solo and it sounds killer I WANT ONE SO BAD!!! Thanks for your feedback! I already use my Rat in connection either with a Tube Driver or a Power Booster – the sound is great but I expect the sound also to be convincing when one of the boosting pedals is switched off. Therefore I will build a G-2 clone very soon. Nevertheless the Rat is a great pedal which I had used a lot at home with my Marshall 5212. Hi Bjorn, fantastic rewiev as usual. I have a question im up to buy a new Laney Cub12R, and i need a compressor and a booster for my muff, can i use rattler for boosting a muff, or the BD2 is a better option for smaller amps, and which compressor should i buy. I already have Boss DD3, and muff. 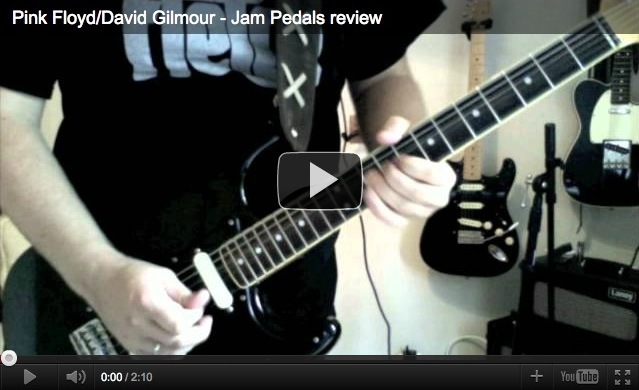 this is my first comment on your site â€“ before asking some questions, I must say that your site is absolutely amazing and supplies great support for all those Gilmour-fans to achieve a great sound. In your review you have mentioned that the Rat is quite similar to the G-2. As I own the same Vintage Rat as you, I must say that I miss some bass and I would like to ask you whether the bass response of the original G-2 or the Toptone DG-2 is similar weak. Being an electrical engineer it is not that difficult to build a clone which should be quite similar to the original G-2 (i.e. R2G2) and I would like to know your opinion whether it is worth to build one and whether you have already tried one of the G-2-clones – R2G2 or Darkside. PS: Check out the new Digitech Whammy DT – it is much better than the old version 4; true-bypass and it is a lot of fun to play “Marooned ” with itâ€¦. in my mind the mxr m 234 analog chorus is a very nice pedal. what do you think about it? this sounds sooo amazing bjorn!